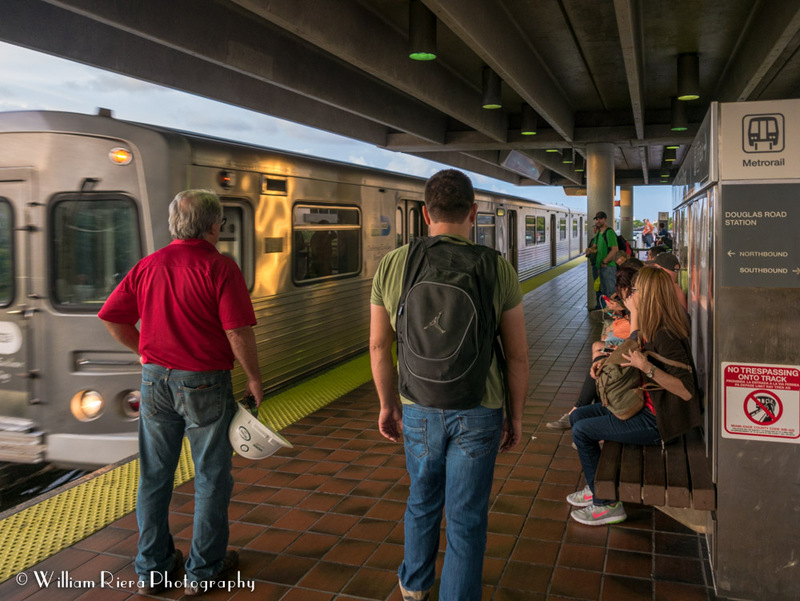 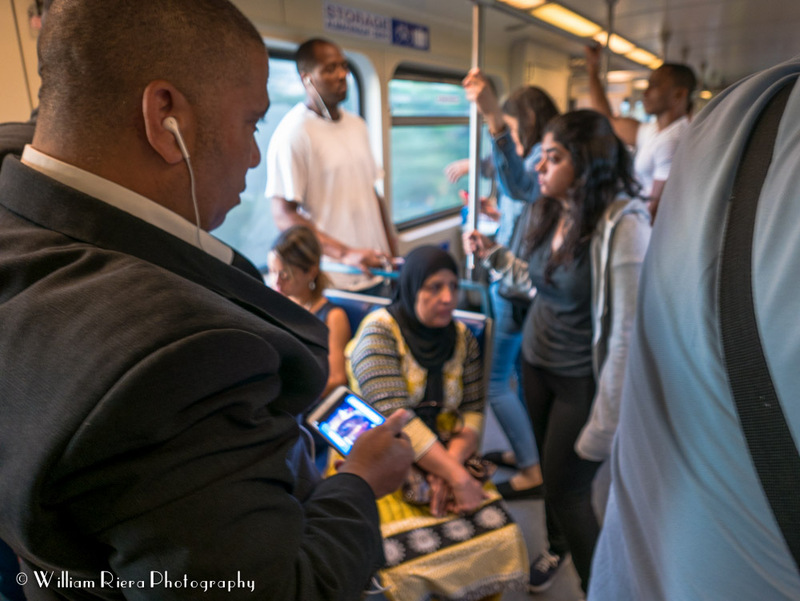 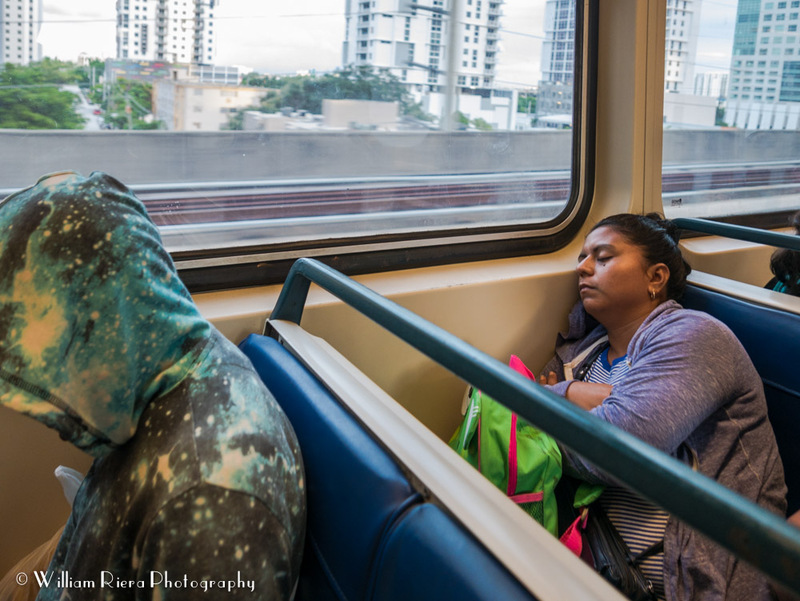 It is Monday morning, and people taking the Metrorail to get, mainly, to their jobs are sleepy, and perhaps already frustrated. 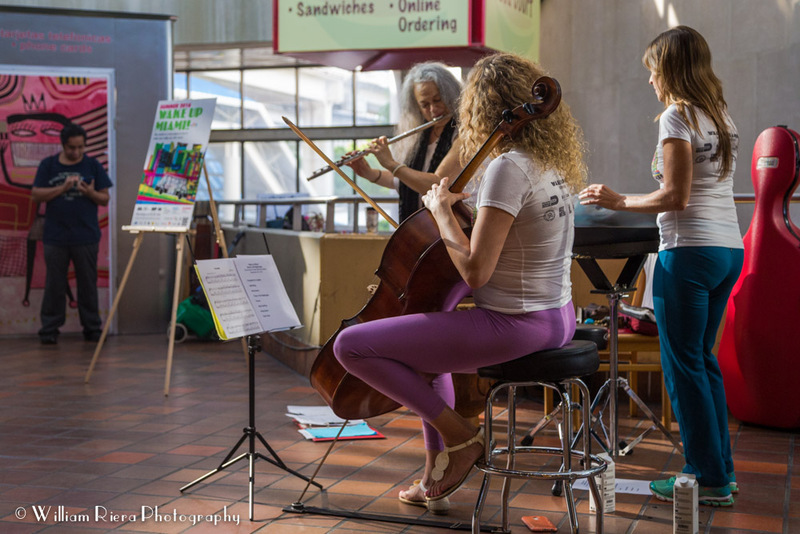 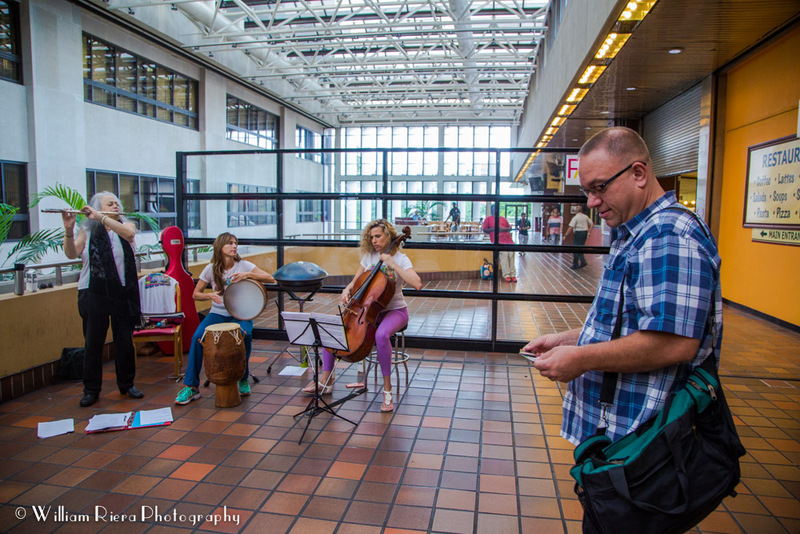 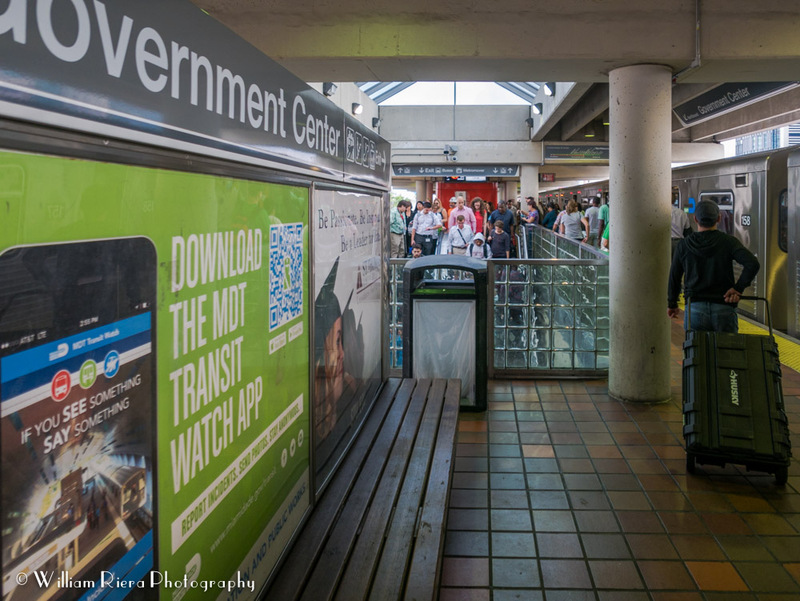 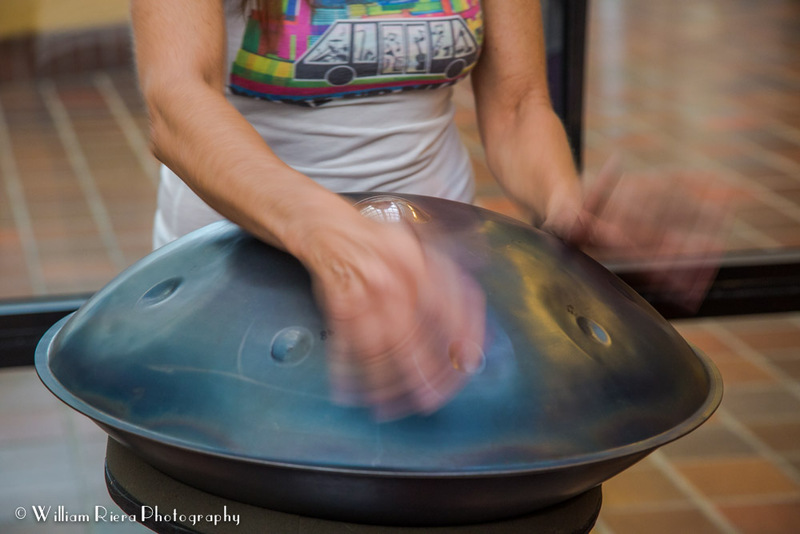 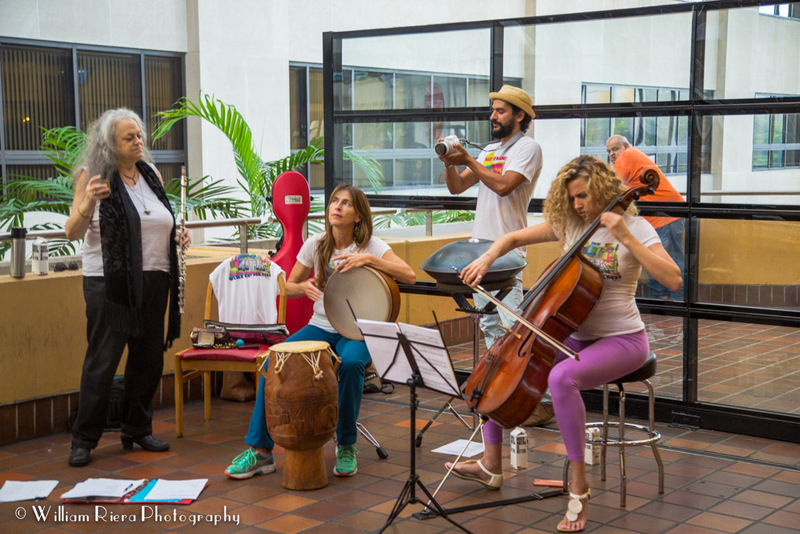 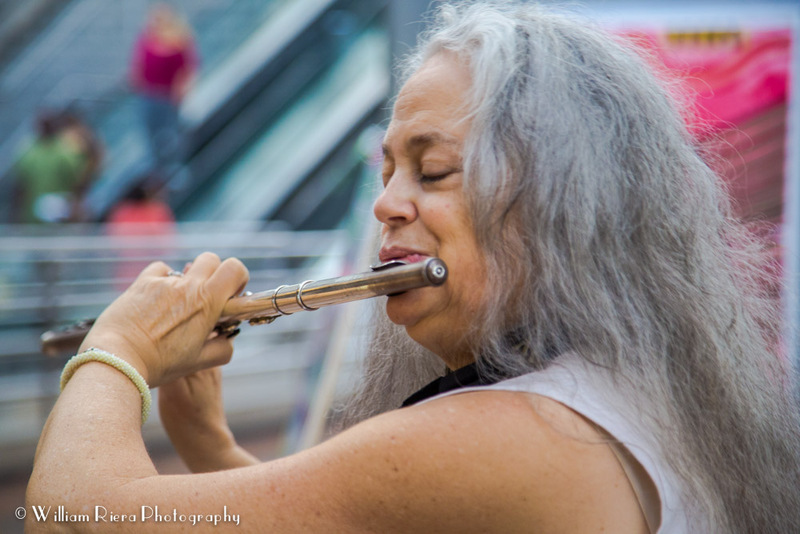 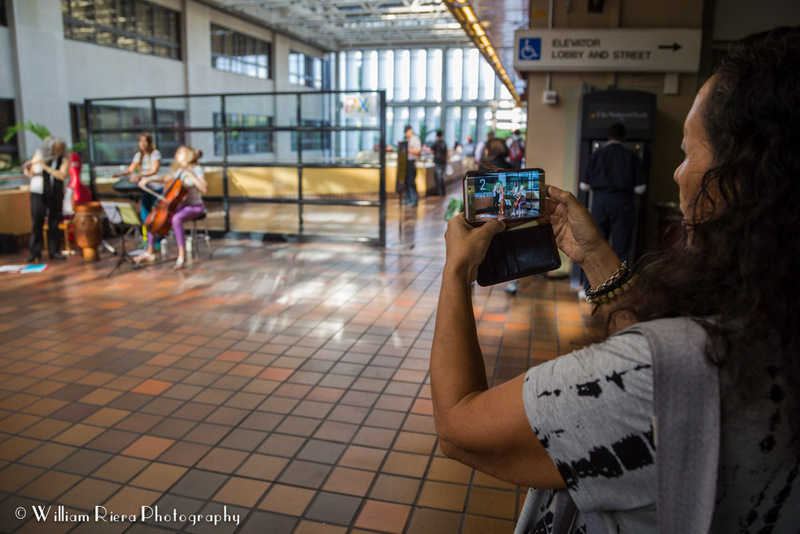 But once they get to the Government Center Metrorail Station they are greeted with the music played by performers brought by the guys from PAXy as part of their program "Wake Up Miami!" 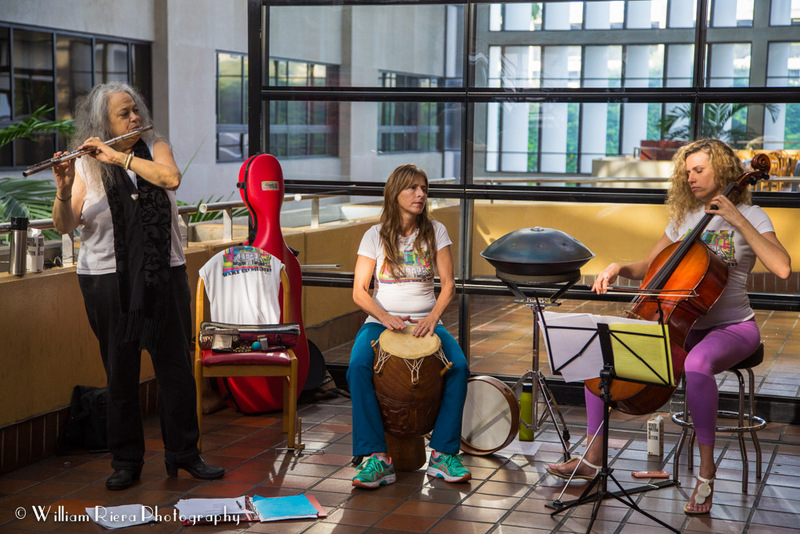 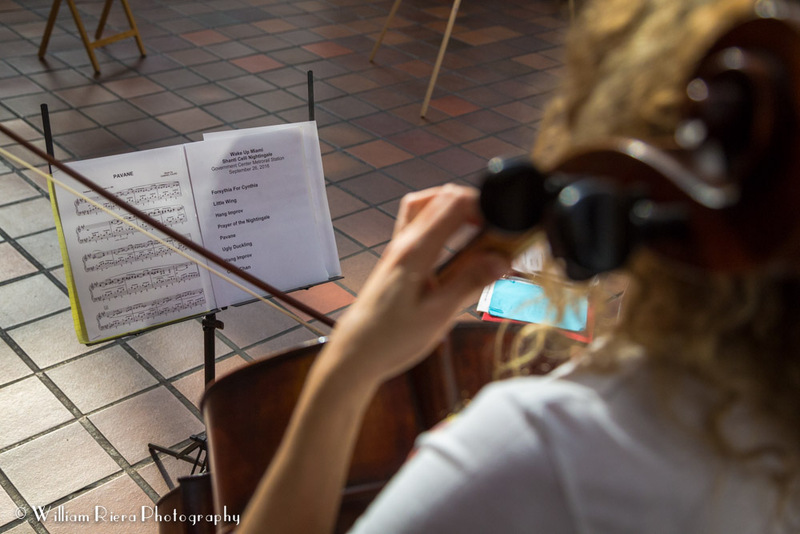 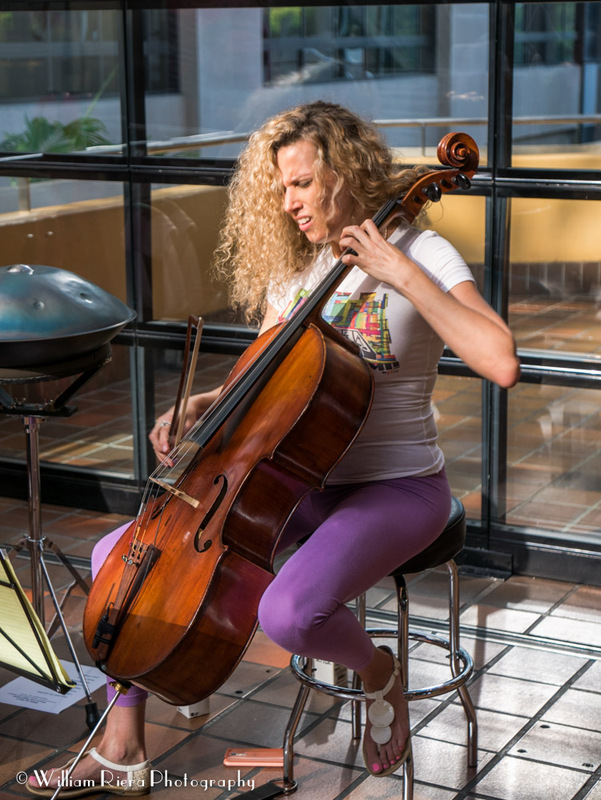 Today was the last day of the summer season, closing this series of performance with the tunes played by Shanti-Celli-Nightingale. 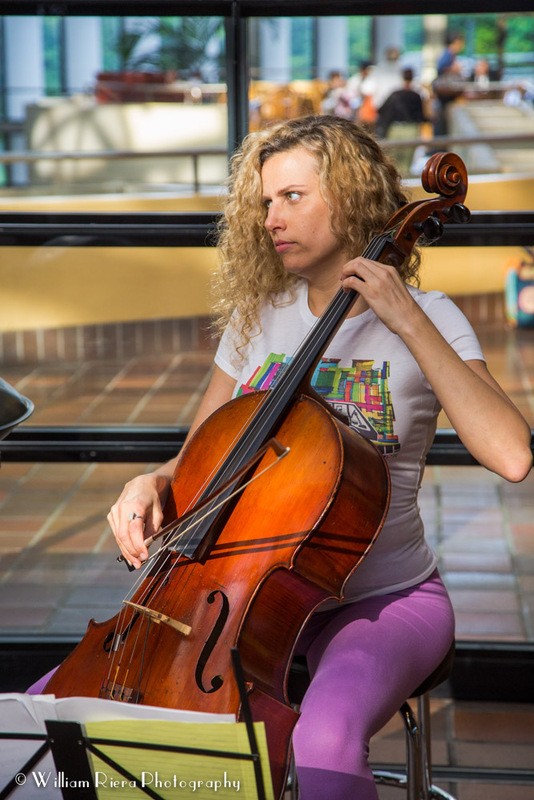 As a way of supporting this project Alice Bravo, Director of Miami-Dade County's Department of Transportation and Public Works, show to enjoy the performance and to be interviewed regarding the importance of having having projects for the community like Wake Up Miami!